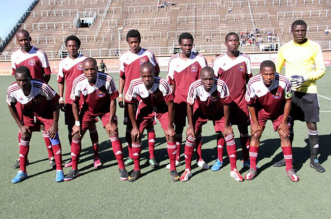 SHABANIE Mine believe their 5-0 loss at the hands of Triangle could have been different had they not lost key players during the on-going transfer window. The Zvishavane side lost current league goalscorer David Temwanjira and defensive linkman Joe Nyabinde to ZPC Kariba and Chicken Inn respectively while Ali Maliselo also dumped the Chinda Boys for Nichrut. The odds seem to be against them as they are struggling to hold on to the bulk of their regular players. Carlos Rusere has been linked with a move to South Africa’s Black Leopards. Tinashe Mupumhu, Kibaki Dlamini, Tinashe Chigede and Washington Kahuni complete the list of players who want out of Shabanie Mine payroll. Shabanie Mine coach Alexio Sijoni has, however, said they will have to build a team from the available players. “Everything has been tight, we lost a very tight game, but we cannot lament because tomorrow is a new day and we have to move on. “Those other players left by choice and it is their right to continue growing and better players will come after them, so there is no need to lament. “The situation is not even that bad as it looks, but it is something that we can work on,” he said. And with 16 rounds of matches left to be played, Shabanie Mine are stuck in the battle for survival with 14 points. Throughout last season, Shabanie Mine struggled to pay players and on numerous occasions, angry players would threaten to protest over outstanding payments and were often bailed out by Dumizweni Mahwite Mpofu.